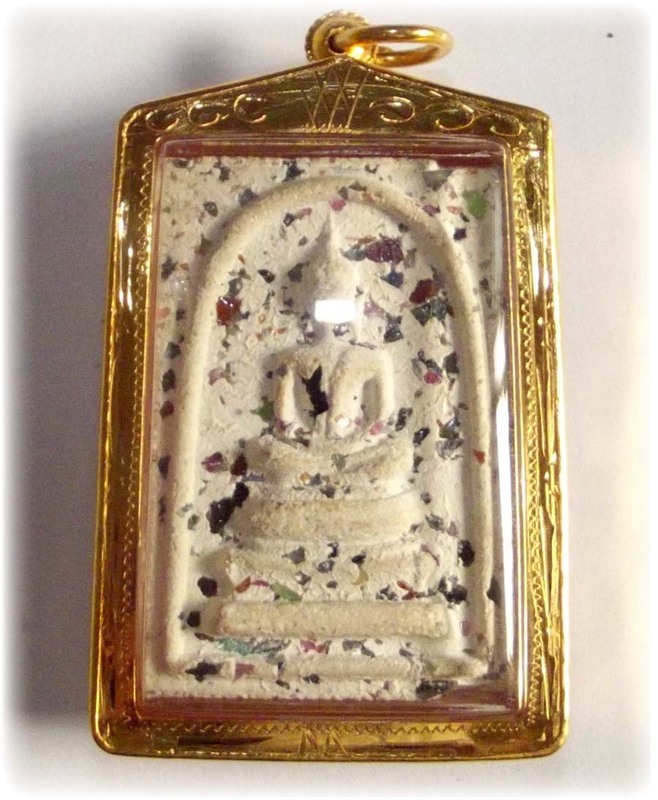 More than 4 Decades ago, Luang Por Guay made these Exquisite, and now Incredibly Rare lesser known Inner Circle Collector Pieces. 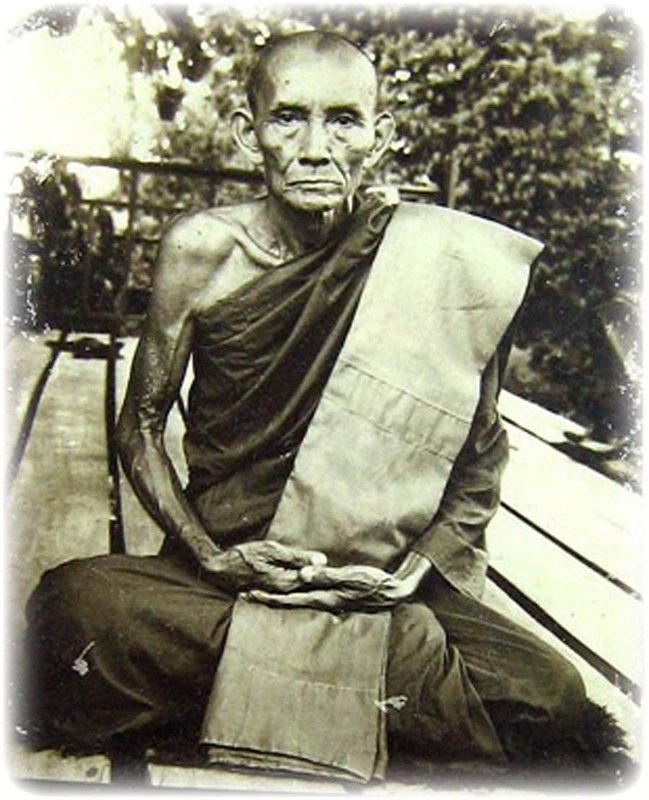 In the year 2512 BE he passed them on to the Abbot of Wat Racha Nadda, who empowered them even further with a host of great masters who passed through, and, in a final Putta Pisek Blessing with Pra Maha Gomaes inviting Luang Por Guay again to Preside over the final Putta Pisek Ceremony in 2515 BE. 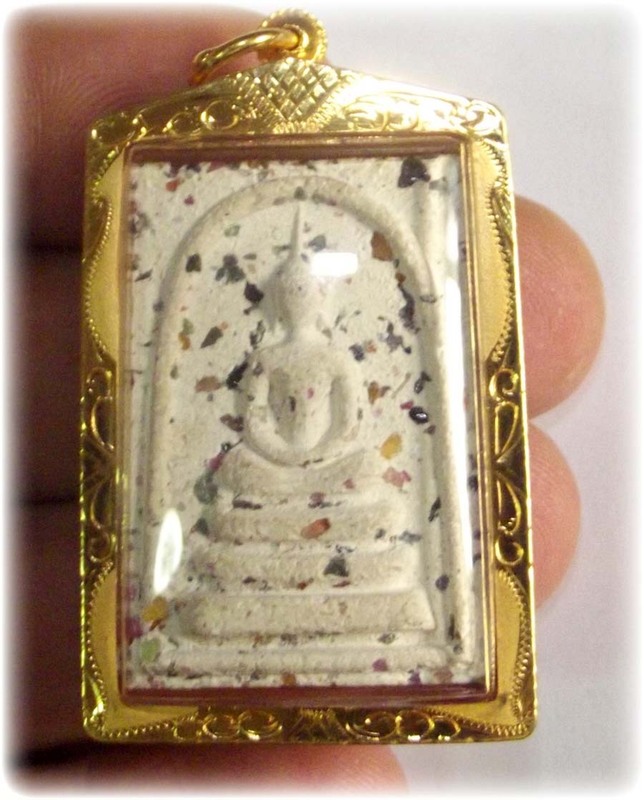 This particular Pim, is the rarest of all the pra Somdej Roey Ploi amulets Luang Por Guay made, and is extremely rare to encounter. 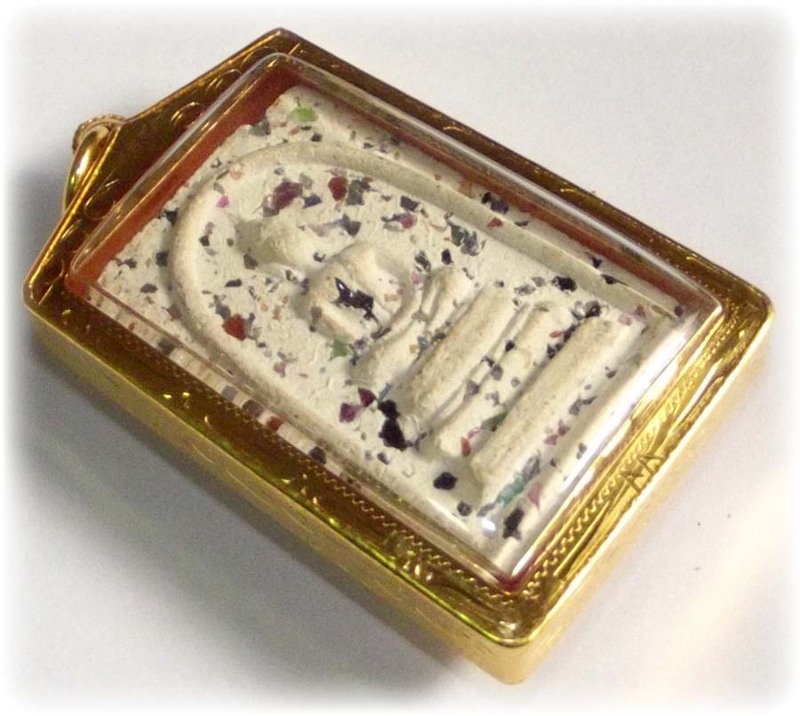 It is different and rare in the sense that it is a two faced Pra Somdej, with a different Buddha Image on each side of the Votive Tablet. The front face is a classic Pra Somdej Sam Chan (3 tiered) of the 'Thaan Hmorn' variety (cushion dais) Notice the upraised knees, and the very slim and sharp spike of the 'Pragaes' (topknot) on the 'Pra Siarn' (head) of the Buddha Image on this side of the Votive Tablet). 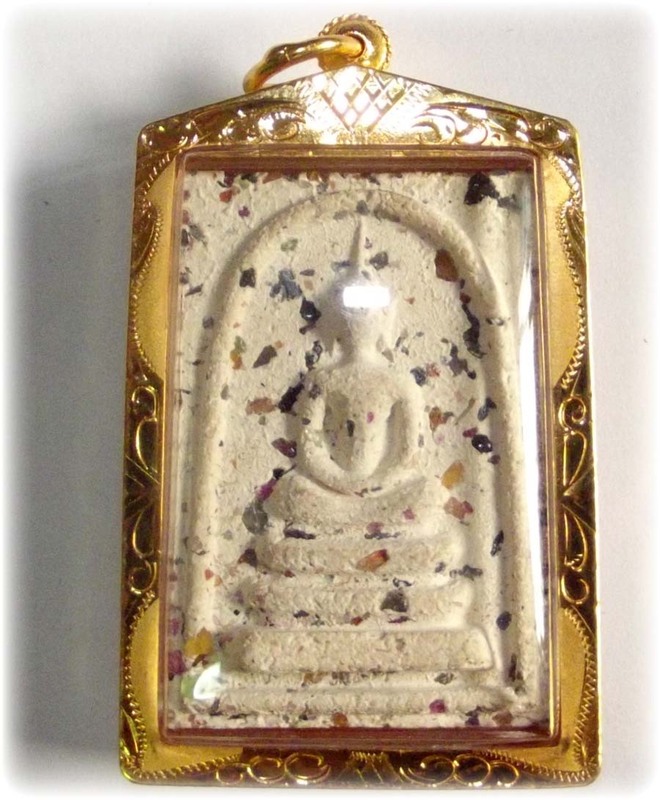 The side above shows a Pim Sangkati (showing the Line of the Civara Robe down the chest). This image has slim curve lines between the legs as a separation contour, with rounded curved knees pointing upwards. The line of the edge of the Civara (Sangkati) travels all the way down to the bottom of the lap where the hands rest. 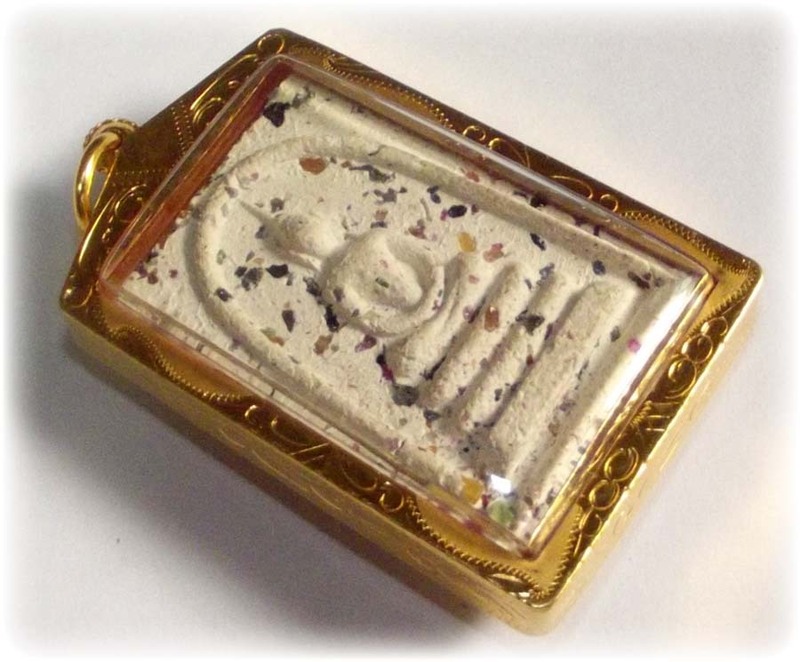 The arch (Sum) is contained well within the edges of the oblong pressed amulet outer frame. The second tier from bottom on the dais, is a 'Thaan Singh' (lion pedestal), notable by its outer edge decoration, reminiscent of a pair of curtains, or baroque interior design. 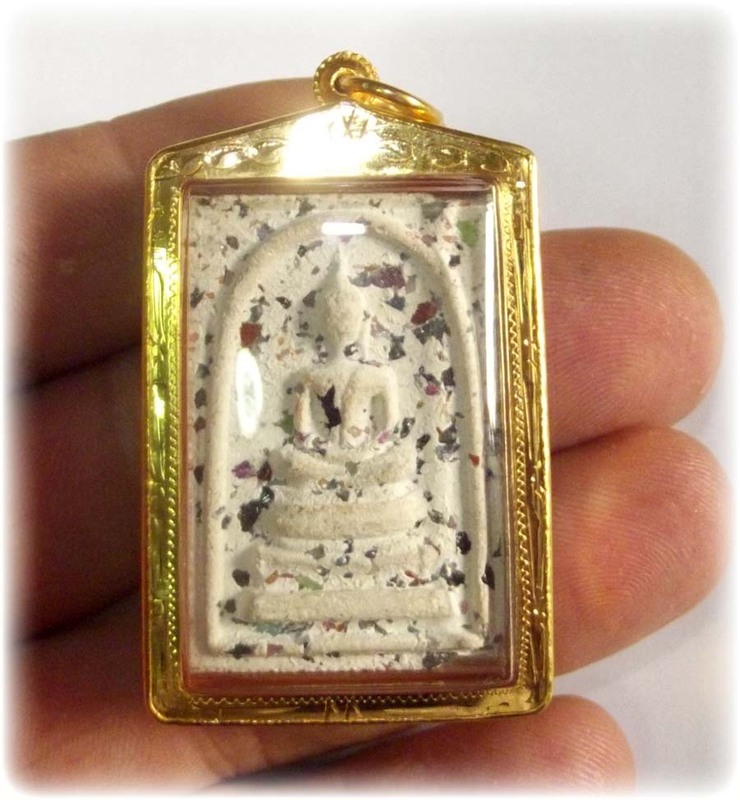 This amulet and its other models are well documented but only appear with diligent searching, the more common models are the Pim Prok Po Gao Bai (9 leaf Bodhi tree Buddha), and the Chinarat Buddha Image.